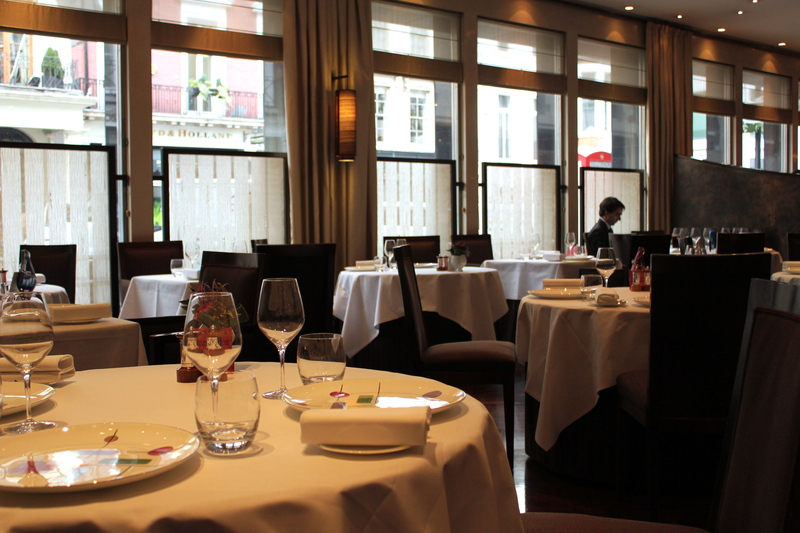 The Square opened its doors in 1991 and has held its two Michelin stars since 1998 (almost 15 years!). One would be definitely be surprised to know that Phil Howard, the chef and co-owner, has had no formal culinary training. He started his culinary career as an apprentice at Roux Restaurants and worked under Marco Pierre White at Harvey’s as well as under Simon Hopkinson at Bibendum before opening the Square with Nigel Platts-Martin. 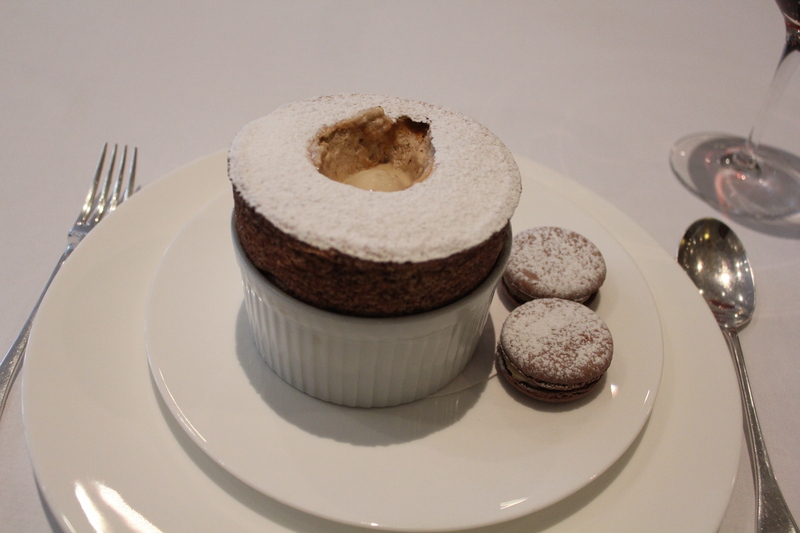 The food at this Mayfair eatery has been described by Phil as “modern French”, and after having a meal at the restaurant, I completely agree. The deco of the restaurant is sleek and simple. 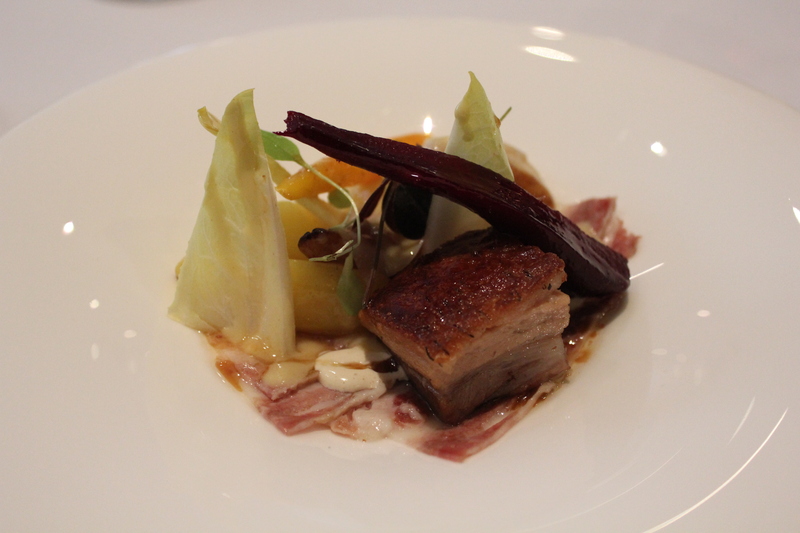 And every dish is unique and carefully crafted by Phil and head chef, Robert Weston. I loved loved loved the walnut raisin bread that they served but unfortunately I was only given one piece. After I was done with it, none of the wait staff asked if I wanted another and I could not get anyone’s attention to ask for another. Seemed like they went to the other tables asking if anyone else wanted more but conveniently forgot about me! I was so frustrated. This dish was delicious. The crushed pumpkin was naturally sweet and fresh. 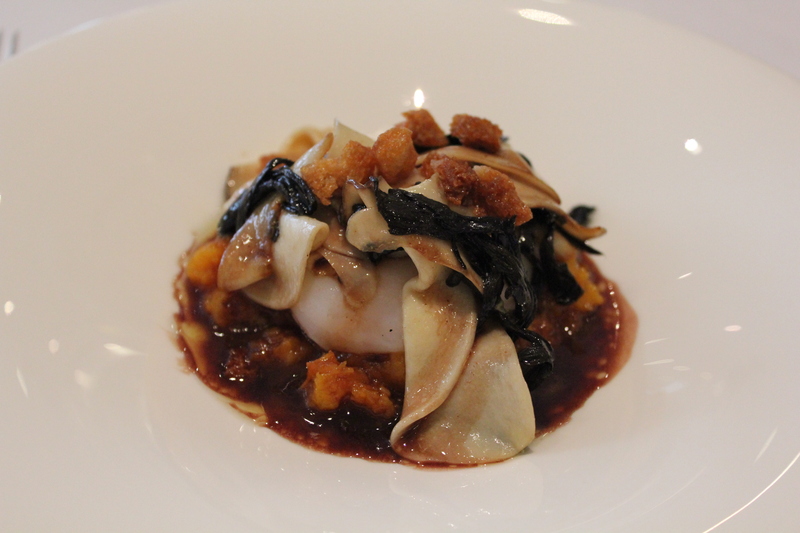 The yolk of the duck egg was not too overwhelming and despite the richness of the sauce, the dish did not feel heavy over all. I loved the toasted sour dough on the top. It added to the texture of the dish, kind of like coutons in a bowl of warm soup. The presentation here was impeccable. It was so beautifully plated that I did not want to start eating it. The winter vegetables were sweet and crunch. The pork was very tender, and the meat melts in your mouth. The skin was crispy and fatty, which is what crackled pork belly should be. However, I found the dish too oily and rich after a while despite the side of vegetables. Maybe it’s because the first starter was on the “heavy” side as well. 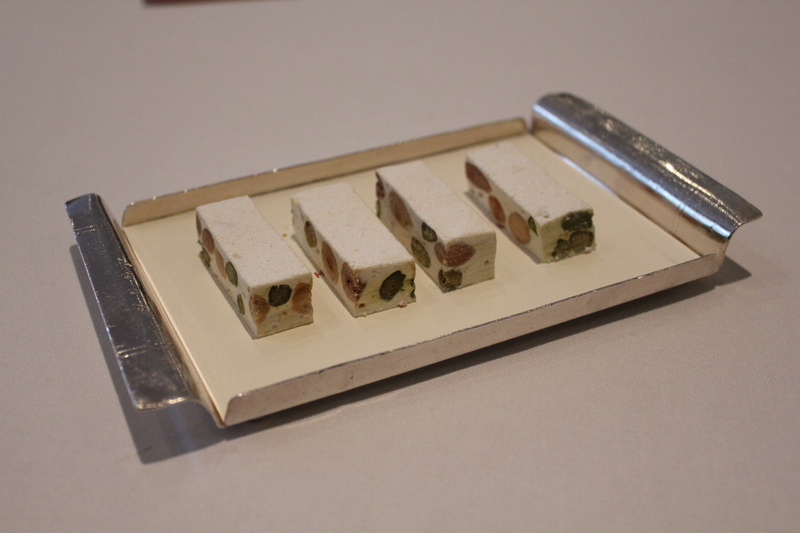 To finish, I was given 4 pieces of home made nougat, which was very very good. The service at The Square could have been better. I felt that some of the wait staff were a little…snotty and well, when it got crowded (it was a full house that day) the staff seemed a bit overwhelmed. I’m still rather bitter about the walnut raisin bread. Oh, and I found my coat lying on the sofa when I came out of the ladies room. Imagine if someone walked out of the restaurant with my coat! 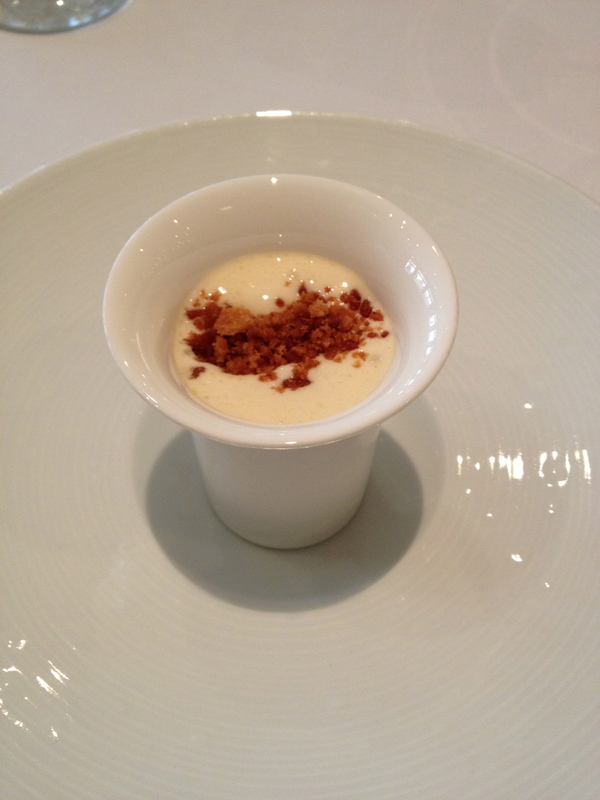 I think I will make a trip down to The Square again, maybe for the tasting menu. Hopefully Phil Howard will be in as well. I’d love to meet him. I hear that he runs the kitchen himself pretty often.